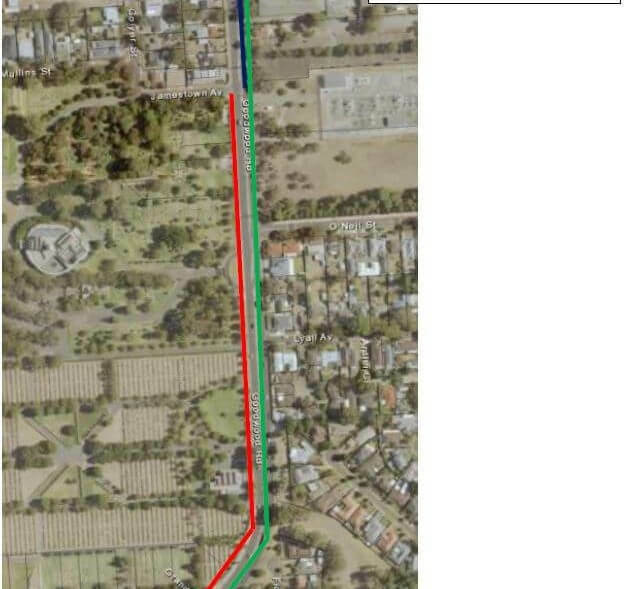 The Department of Planning, Transport and Infrastructure (DPTI) are currently installing a bus lane on Goodwood Road, Pasadena, between Grandview Drive and Jamestown Avenue, in a north bound direction and a bike lane, from the pedestrian crossing just south of Boothby Street to Grandview Drive in a south bound direction. The works commenced on Monday 4 February and will continue for approximately 4-6 weeks with signage and speed restrictions in place. Goodwood Road will remain open to traffic in both directions throughout the works. Access to Centennial Park will remain for all traffic at all entrances. Once completed, there will still be dual lanes in both directions of Goodwood Road, with the extra lanes being created from reducing the width of current lanes and the median strip. If you have any queries regarding the works please contact the DPTI via e-mail at DPTI.CommunityRelations@sa.gov.au or phone 1300 794 880.